SATA Power 15-Pin to PCI-E Express 6-Pin Power Adapter Cable (20cm), made with top quality UL1007 18AWG electrical wire. 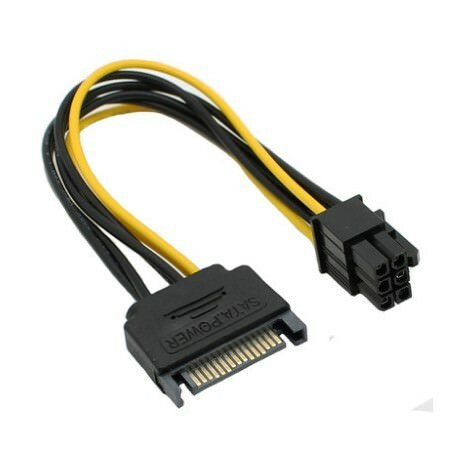 If your PC's power supply has no PCI-express power connectors (or not enough of them for your needs) you can use this handy cable to provide PCIe power from one of your open SATA connections. Click the button below to add the SATA Power 15-Pin to PCI-E Express 6-Pin Power Adapter Cable (20cm) to your wish list.